“Transforming Struggling Schools to Thriving Schools” – Center for Popular Democracy, February 2016. Toolkit for Summer 2017 "Welcome to the Fight-Back"
Find a Scheduled Town Hall near you! 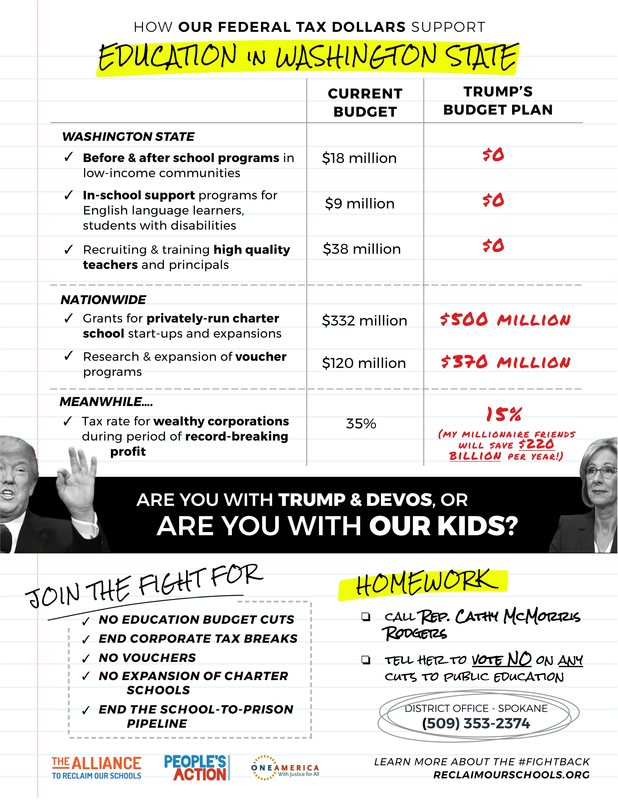 Sample Leave-Behind for Doorknockers — This is a sample one-page flyer on the federal budget, being used during canvasses in Washington State. Note that it includes a specific “take action” suggestion! Thanks to ONE America for sharing!